Larry Buttrose: DESPOTS BEWARE: EMPEROR TODAY, FOOT-STOOL TOMORROW. DESPOTS BEWARE: EMPEROR TODAY, FOOT-STOOL TOMORROW. 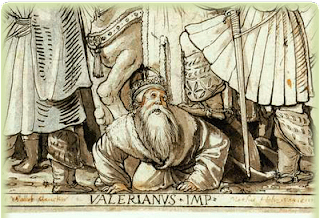 Living at a time when the Roman Empire had been weakened by natural disasters and plagues as well as military setbacks and chronic economic woes, Valerian (190-259 CE) became one of a lineage of emperors not destined to rule for long. 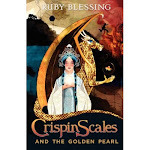 Having wrested the title in battle in 252, he promptly initiated a new persecution of Rome’s Christians, before turning his attention to the east, where he faced the Persians. He advanced through Syria into Mesopotamia, where he encountered the army of the Persian king Shapur I, in 259. Although the Roman forces enjoyed significant numerical superiority, they were soundly beaten, and in suing for peace Valerian found himself betrayed, and Shapur’s prisoner. Fourth century author Lucius Lactantius records that Shapur used Valerian as a foot-stool for a while, but bored with this, had him skinned and stuffed with excrement and hung in his temple as a symbol of Roman submission to Persia. Or, just possibly, an early instance of ecumenicalism. 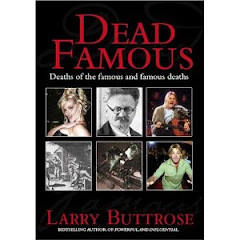 *From my book Dead Famous: Deaths of the Famous and Famous Deaths. - or written in lacklustre, jargon-heavy or inappropriate style? Would that be better than being a feather duster?